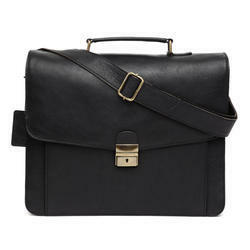 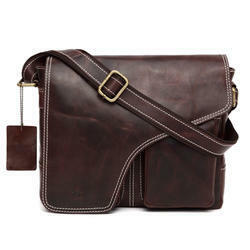 Our product range includes a wide range of black portfolio bag, leather gents bag, gents bag, leather sling bag, wildhorn leather gents bag and messenger mens bag. 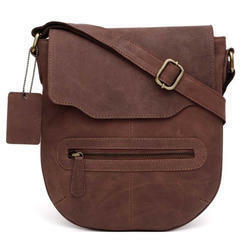 CRAFTMANSHIP, METAL FITTINGS AND REINFORCEMENT MATERIALS: Pure leather Bags get more beautiful on ageing. 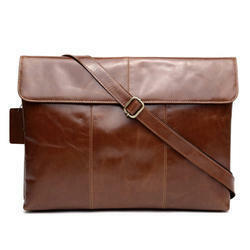 These are not PU which will contain shine on its surface. 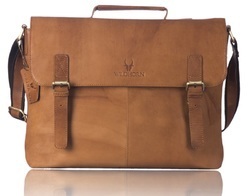 Start your journey now! 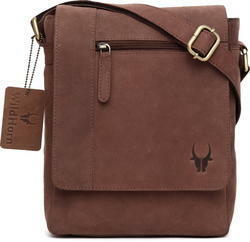 Use this bag as a messenger bag, shoulder bag or laptop bag. 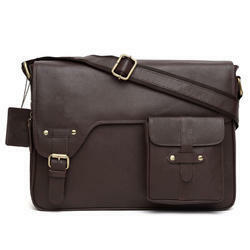 Suitable for your school, office, college, university, meeting, and business for everyday use. 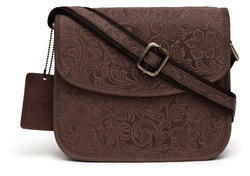 It also makes for a great present. 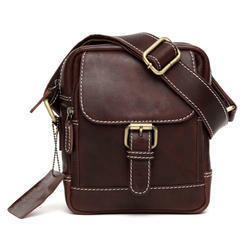 It is also most important to use good QUALITY Metal fittings and Reinforcement materials. 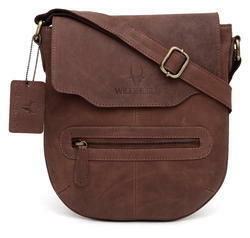 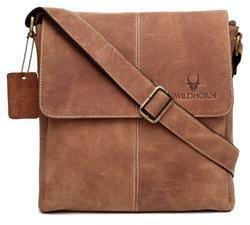 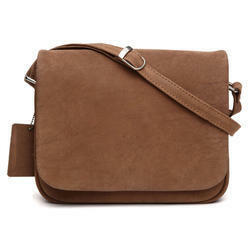 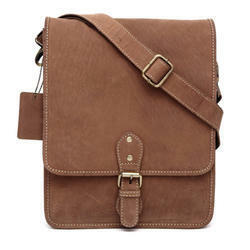 PREMIUM HUNTER LEATHER :This is high quality classic genuine leather messenger bag from WildHorn. 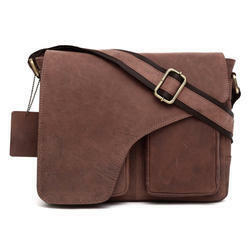 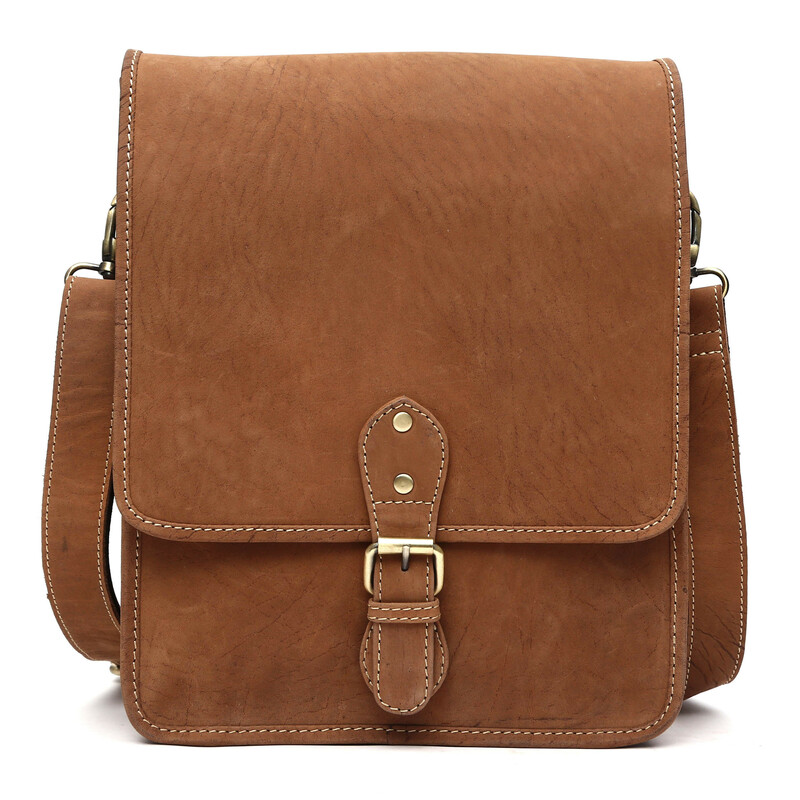 Featuring an elegant design, hand stitched, dyed and aged messenger bag is long-lasting, light weight and a fine quality genuine leather product. 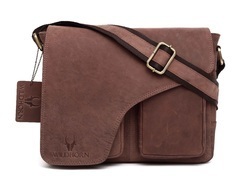 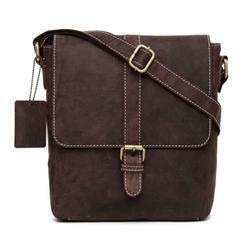 This WildHorn Casual Style Leather Messenger Bag features durable cotton fabric with rich leather, leather trim and an adjustable shoulder strap that can be slung comfortably across the body. 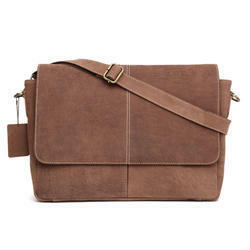 MECHANISM:This messenger bag has main interior compartment with flap top closure for added security and a fully lined interior that includes zip pocket and slip pockets for organization. 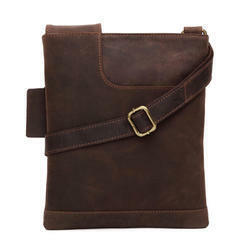 One rear zip pocket. 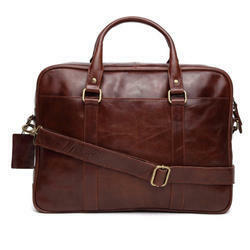 The compartment has dedicated space for Laptop,I pad, tablet, phone & other small accessories.